For most of the last week my routine has been the same: wake up, check my email for replies to job queries, scroll through a few expat forums for new job postings, take off for an interview, return home, check the forums again. It’s a painfully mind numbing yet necessary process. I’m here to teach, but first I must find a job. 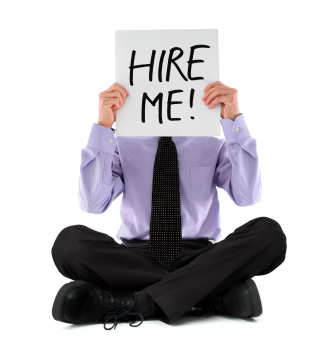 From what I can tell the job search process is broken up into three parts: resume submission, interview and lesson demonstration. Depending on where you apply, all of these could happen on the same day or across several. There’s really nothing to the interviews as most schools just want to verify the info on your resume and make sure that you’re A: relatively sane and look presentable, and B: able to commit to a one- year contract–pretty standard stuff. The tricky part (for me, at least) is the lesson demo. This is where they hand you lesson (or a blank sheet of paper), give you some prep time (anywhere from five minutes to several days) and push you into a classroom. The idea is to see how you interact with the students and to get a feel for your teaching style, with the possible added benefit of seeing you freak out and collapse under pressure. Luckily I was able to line-up two demos this week. The first is at a small Buxiban (private school) catering to elementary schoolers, and the other at a large chain school with several branches across the city. I show up at the first school and am greeted by the foreign director of the school; a tall middle-aged American whose hair reminds me of a less red, slightly silver version of Conan O’Brien’s. The small lobby contains a few tables with kids doing homework and teachers are milling about sorting through folders and talking with the kids at the tables. The entire school is no bigger than most of the Mom & Pop stores around Kaohsiung and I almost clothes-line a passing student as I extend my arm to shake hands with the director. After a solid interview I’m handed a lesson book and told that I’ll need to demo a review lesson for 15 about minutes. I look over the curriculum and jot down a simple lesson plan before walking into a tiny classroom of smiling third graders. They all let out a collective “whoooa” when I walk in and I take a few minuts to tell them my name and show them on the map where I’m from. My lesson plan is to hit them with review drills in which they can gain points for correct answers, make a few self-deprecating jokes and knock out a quick song from the lesson book; simple, direct and proven. The plan goes over well. I’m able to get all the kids to participate, they chuckle at my jokes and no one notices that I lip-sang more than half of the song at the end of the lesson. I like the vibe I get from the staff and the laid back approach to the curriculum. The director tells me he’ll let me know by Monday and I leave feeling good about my chances of getting the job. Moreover I’m feeling like my next demo across town will be equally successful. When I arrive, I’m shown into an office where several teacher’s are hastily preparing for the evening’s lessons. Packets of books are being tossed into boxes, copies are being made, student rosters are being discussed. Someone comes in to announce that dinner and tea orders need to be placed with the secretary immediately. The wall behind is lined with staff lockers and several shelves containing an array of folders and giant flash cards sorted under ‘Transportation’, ‘Foods’ and many other phonics categories. I’m introduced to a handful of teachers who barely look up from what they’re doing. The manager of the school (also the person who interviewed me a couple days ago) hands me a book and tells me that I’ll be teaching Lesson 19 for my demo. “Let me know if you need to use the copy machine,” he says. Copy machine? What do I need to copy? I flip open the book and give the material a quick once over. The details about my demo are (purposely) vague so I begin sketching a lesson plan relying once again on old strategies I learned teaching in Korea. I don’t know what age group I’ll be working with, but judging from the material I assume they’re slightly older than the third graders I had earlier. Like the last demo. I’ll need to include some review of previous material, but this time I’ll be teaching for an hour instead of 15 minutes. Along with the review I plan a couple of listen-and-repeat activities and two simple games for added excitement. Before heading into the classroom I’m asked if there are any other materials that I’d like to bring in with me. I quickly grab a toy hammer and declare myself ready. I stagger through the first part of the lesson and play the wrong CD track during the listening exercise, but still manage to retain my confidence. The students (mostly fifth graders) are receptive to my lesson but don’t show any signs of excitement until the word recognition game towards the end, which my observer fails to observe because he leaves to go administer a test. So the best part of my demo goes largely unnoticed. The hour goes by fast and I return to the teacher’s office to talk about how the lesson went. An hour goes by before the manager shows up and he looks surprised to see me still there. He thanks me for waiting but tells me that he unfortunately has to go administer another test and that it will be another hour before he’s finished if I want to wait for feedback. I get an email from him later that night telling me that due to a busy upcoming weekend, he won’t have time to discuss my demo until sometime Monday evening. On the subway ride home I consider which of the two schools I’d rather work at: the smaller operation with miniature classrooms, or the bustling chain school that wants me to wait several days for lesson feedback. This entry was posted in Living, Teaching and tagged Buxiban, Education, ESL, job search, Lesson Demo, Taiwan, Teaching by Jay Woodson. Bookmark the permalink.